Weddings are one of the most memorable moments in a couple’s life. The wedding invitation is one of the most important parts of all wedding preparations. Social printers are capable of producing invitations according to your specifications, but a good wedding invitation software will help reflect more of your personality in the card, making it more memorable and personal. Several card design programs are available and you can check each one before finally settling on the one that that is easy to use and has wide designing capability. The top wedding invitation software available in this list eliminates the tedious time of looking for the right one and lets you concentrate more on creating the perfect invitation design for your coming wedding. 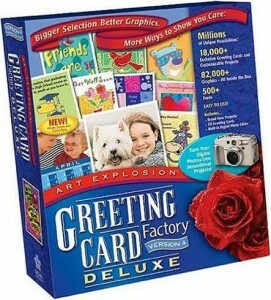 Greeting Card Studio is a straightforward card design program. It can be configured to create different types of cards, including wedding invitations. Although it is not equipped with more advanced features, it could still be used for basic wedding invitations that are not too complicated. There are several pre-loaded templates and clip arts, including styles like Victorian, floral and modern. You can do invitations from scratch if you want something more creative. It comes with several quotations you can add to the wedding invitation. Colors are easy to choose and it is easy to upload photographs and manipulate them. 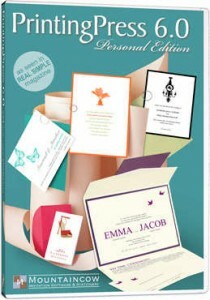 Print Creations is a general card creation software that is not specifically marketed as wedding invitation software, but it has a robust greeting card section to create wedding invitations aside from other wedding paraphernalia, using its various features, colors, fonts, clip arts, quotations and templates. It is easy to import photographs, and drag and drop them into your card. 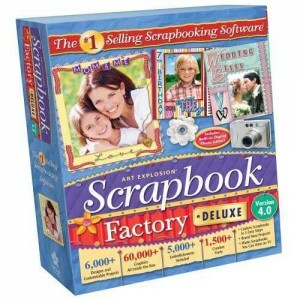 Scrapbook Factory is generally used by scrapbookers. However, it is also capable of creating colorful and personal wedding invitations with its variety of template, millions of colors, fonts and photo editing tools. It has several font effects, borders, backgrounds and custom shapes to make your design as personal as possible. It includes a freehand tool that allows you to unleash your creative skills if you want to embellish the wedding invitations and make the design as unique as possible. The photo-editing tool also includes red-eye removal. It is the extent of your artistry that will put a limit on the innovative and creative design you could create. 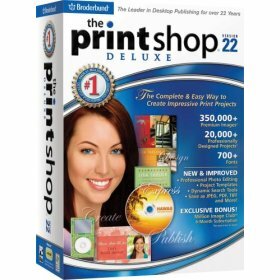 Although Print Shop is not marketed as a wedding invitation software, it does not mean that this program is not capable of creating beautiful wedding invitations. It is preloaded with several templates that you can manipulate to create the most fitting of invitations. You can even start from scratch if you are so inclined. It is a robust application that is also includes a photo editing tool that allows users to easily import photos, rotate and crop them and can do spot touch ups to remove blemishes, whiten teeth and erase wrinkles. While you can print place cards using the smaller templates included in the program, it is capable of printing envelops, a major plus point as you can match the design of the envelopes to the wedding invitation. 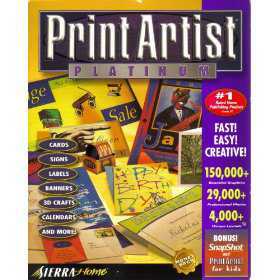 Print Artist is one of the first few card design applications that were available a few years back. The Print Artist Platinum is not only capable of creating different types of greeting cards. It is also capable of creating brochures, envelopes, CD labels and announcements. It has a library of fonts and graphics as well as preloaded templates. The font tool allows you to add drop shadows, fit text to curves and shapes and change text color. The photo-editing tool easily imports photos, removes red-eye spots and do other things such as crop, adjust color and flip photos. It can add borders, reduce and enlarge images and create collages. The application also has the ability to grayscale colored images for a black and white effect, add a sepia tone and soften images by blurring the edges. 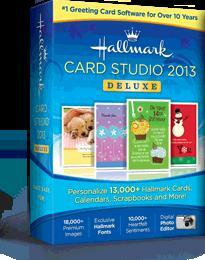 The beauty of these card design programs is that they are not developed to create only one type of card. With the capability to create other types and forms of greeting cards, the program are still useful after using it as a tool to create wedding invitations. 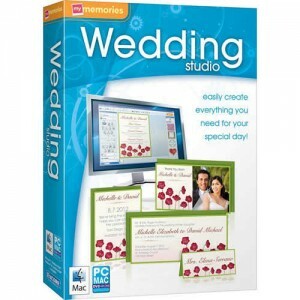 The name Hallmark is associated with greeting cards and this software application is robust enough to be able to create your dream wedding invitations. It is preloaded with templates and has a large gallery of images, with very good text and photo editing tools. Aside from wedding invitations, you can also make matching ceremony programs, RSVP, thank you notes, placeholder cards, directions, menus and date as well as photo cards. It is capable of importing your mailing list and printing them on standard No. 10, single- and quarter-fold envelopes. Greeting Card Factory Deluxe gives you a wide of possibilities in designing the best invitation card for a wedding. It has several templates, loaded with plenty of images and fonts, as well as different card and envelope sizes. While there are several templates available, it allows you to use your creativity and artistic skills to create a wedding invitation design from scratch that you can match with wedding stationery, wedding announcements, direction cards, RSVP and thank you cards, place cards and ceremony programs. 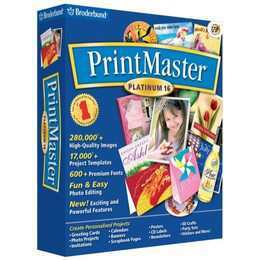 Print Master Platinum is an easy to use card design software that comes packed with different elements that give you more options to create several projects. Its range of design elements allows you to create an ambitious wedding invitation design that would be comparable to any invitation done by a social printer. The intricate and delicate flourishes alone are elements that would give any design the touch of elegance and sophistication. It has several font effects and photo editing capabilities, including fade effects. This is a wonderful wedding invitation software application that takes care of creating the perfect wedding invitation that you are looking for. It comes loaded with features programmed to easily create invitations using its preloaded templates or create one from scratch. It includes several easy to use text editing tools as well as very handy photo editing tools to give photos and images added dimensions. There are different sets of flourishes and other embellishments to add decorative flair to your design. This is a top-notch wedding invitation software application, with an extensive library of design templates, very easy to use and equipped with plenty of tools for the most creatively demanding wedding invitation design. Aside from its capability to create most wedding paraphernalia, it can also create translucent and transparent overlays and decorative stamps. Its text and image editing tools are very intuitive and responsive. It even has the capability to place guide marks for punching holes so you could insert ribbons later. Putting more of your personal touches on wedding paraphernalia somehow makes the wedding that much more significant and memorable. Using wedding invitation software allows you to create, customize and closely tie in the invitation to your dream wedding. I have used the print shop deluxe and believe me it is the best software to make wedding or any kind of invitations, the built in templates are great. Great list!! I have created my wedding invitations in online using inviter.com. That template designs are very beautiful.